Earth Day was celebrated in April and, while it seems obvious that we live on one very beautiful planet, we often act as if it is as disposable as the trash we throw away every day. Wow! It seemed astounding to many that our Earth was not the only one that could sustain life, although it also seems arrogant of us to assume that our beautiful planet is the only place in the entire universe capable of doing so. In February, NASA announced that it had discovered another seven Earth-like planets orbiting around a single star. Admittedly, they are 235 trillion miles away, but to some, this discovery opened up the possibility of having a spare if we messed up our Earth. How have we come to have such a throw-away mindset? Put the term “save the Earth” into a Google search and it returns approximately 194,000,000 results. Save the Earth, as well as save the rain forest and other philanthropic causes, has become as ubiquitous as the slogans for the war on drugs or the fight against cancer. All worthy slogans, but can we, as individuals, deal with these challenges, or have we become overwhelmed and disillusioned by the enormity of these causes? In the past few months our current administration has announced plans to cut funding for many environmental programs. In March, USA Today documented 62 agencies that are slated to receive funding cuts including the National Park Service, the U.S. Environmental Protection Agency and the Department of the Interior, which manages National Heritage Areas and National Wildlife Refuges. What can we do, as individuals and local groups, to offset these projected changes? Boulder City is no stranger to volunteer efforts. Our own Lend A Hand program was begun as an ecumenical effort between the local churches, and we have many other valued volunteer organizations in our small town including St. Jude’s Ranch for Children, the Senior Center of Boulder City and Emergency Aid of Boulder City. The impending financial cuts will undoubtedly affect our local environment and our efforts to remain independent and maintain our way of life. Perhaps the time has come for citizens to become more proactive at the local and state levels to offset these deficits and ensure that hard-won gains are not lost. After all, it is our world. 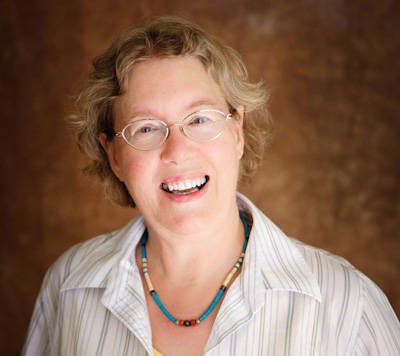 Angela Smith is a Ph.D. life coach, author and educator who has been a resident of Nevada since 1992. She can be reached at catalyst78@cox.net.